This mysterious boss is something different! Nothing is for sure with this one, except for the fact that it will bring up some memories of old worlds and past enemies. Grab a Gold Skeleton Key and head over to Aggrobah in Mirage. 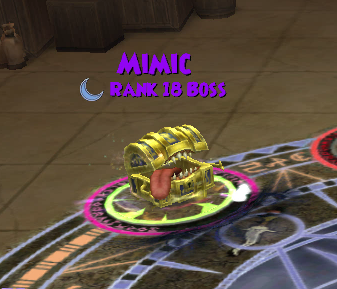 Mimic can be found in a house located in the River District. 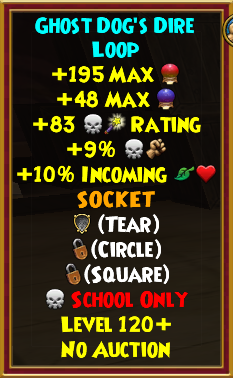 Unlike past skeleton key bosses, I’m afraid that for this one you’re going to have to walk in blind. The thing with Mimic is that it mimics! 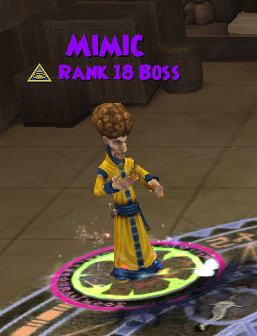 In the image below, you can see Mimic’s true form. It will proceed to polymorph into another form as soon as round 1 starts. This is the tricky part! 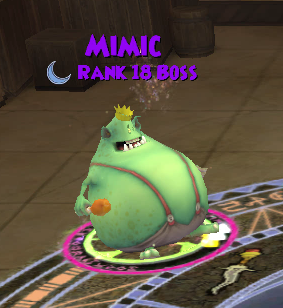 Mimic will keep changing forms throughout the battle until you either defeat him, or it defeats you. Hopefully the first option! 5 different and familiar forms or polymorphs have been recorded so far as you can see below. 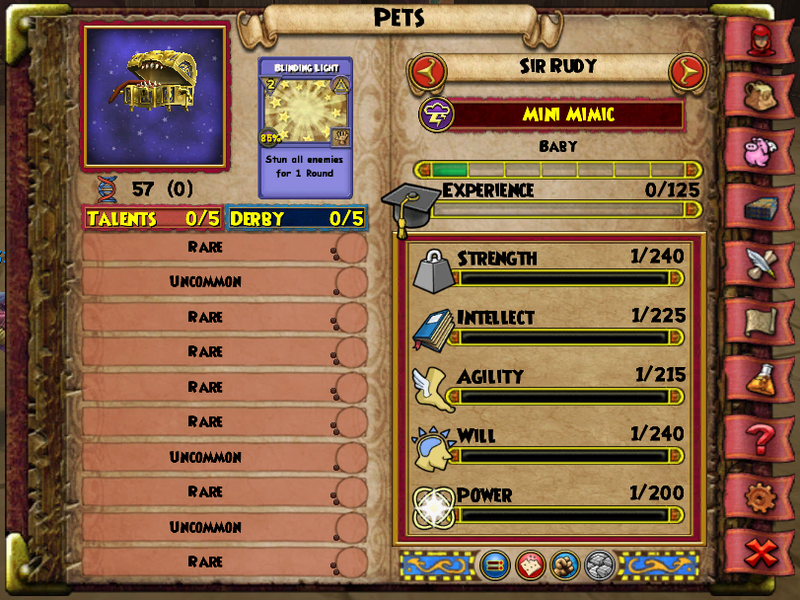 On round 1, Mimic will interrupt and polymorph into one of the random forms below. Then, at the end of every four rounds it will change into another form. 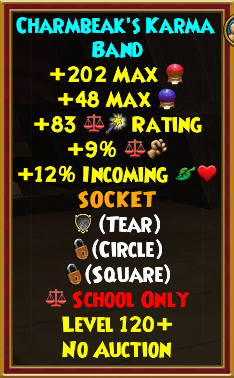 Something else I happened to notice on this boss and the other 2 skeleton key bosses is that feints don’t stack on them. 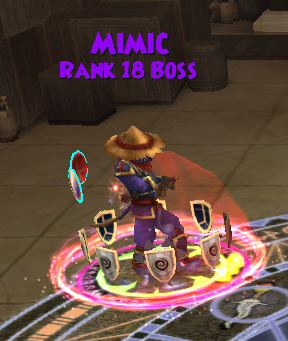 Mimic has pip conversion as well. 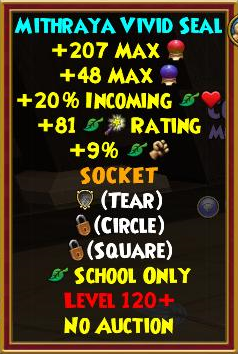 This from has the same cheats as Luska Charmbeak from Waterworks. The memories! Only use single target hits if you have been ‘Inked!’ (have a black mantle on you). Otherwise you can use AOE hits to counter this cheat. Every other wizard that hasn’t been ‘Inked’ will have a 70% feint on them at all times. 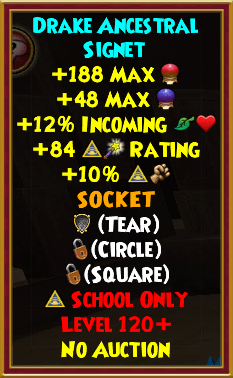 If you use negative charms or wards (weaknesses and traps) and single target attacks on Luska or Mimic it will attack back with an enchanted version of Link. This will remove traps but not the ones that were already placed on him before he polymorphed. The boss will proceed to remove any traps that are cast or already on him. This cheat will trigger only from this polymorph. 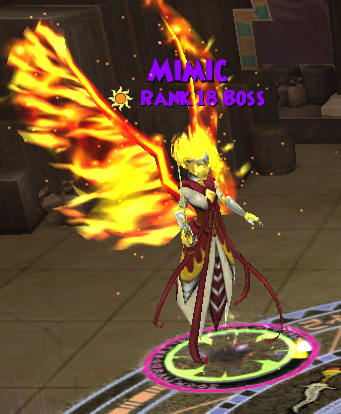 Mimic managed to somehow replicate Mithraya and her cheats in Celestia. How come we can’t do that? 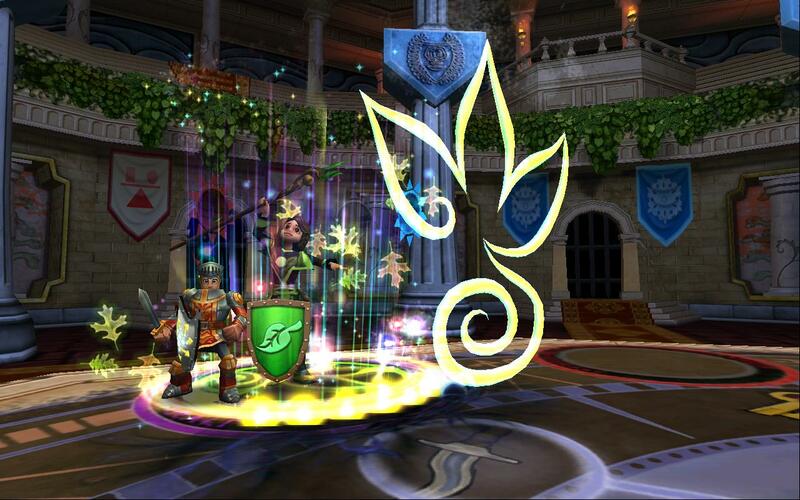 The very first thing Mimic will do in this Polymorph is summon a Stellar Protector minion (Rank 17 Star Elite – 6200 hp) that will join on that same round. 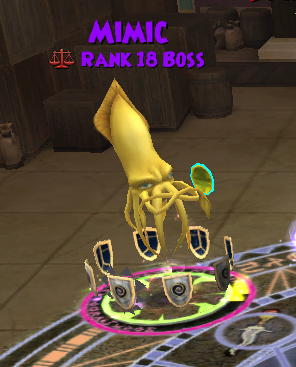 Also, the minion doesn’t go away when Mimic changes form. Be on the look out for some spells it casts like a star version of Loremaster and a Mana Burn that will take all pips. 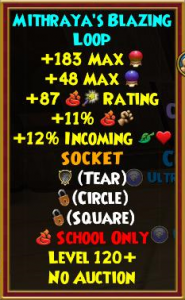 In contrast to some of the other forms, Mithraya’s cheats require you to have a charm on you and a trap placed on her or else it will keep spamming -50% black mantles after every move you do. This doesn’t happen when you fizzle. He will immediately summon his minions to join the battle. These minions can be quite harmful if left unchecked. For instance, the fire minion has Burning Rampage. At the end of Ghost Dog’s first round, he will proceed to cast his infamous Death DoT, but this time he doesn’t detonate it. It’s a slow death for whoever receives it! If you let the battle last too long you might end up in a very sticky situation, so I recommend caution! 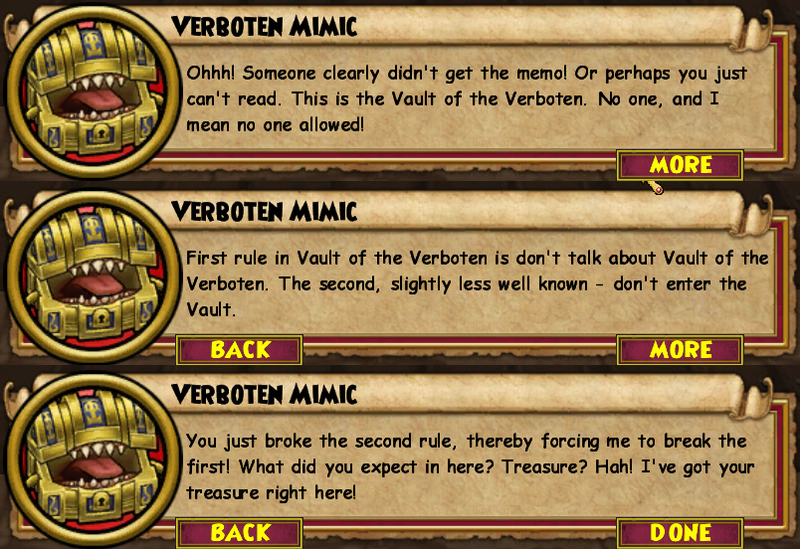 No wonder Mimic is ‘forbidden’. My recommendation for this battle is to stack blades and simply have one wizard attack. 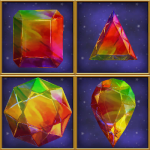 Due to the fact that some of the polymorphs don’t allow traps it’s better not to risk it. 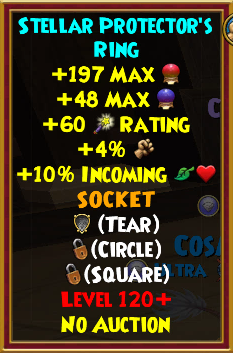 Also, there is the fact that feints are currently not stacking as well. Additionally make sure that at least one wizard in the battle is carrying a shatter, whether tc or trained doesn’t matter. This is just in case you get to face the pesky Gobbler Prince. To conclude, I suggest that before you enter the battle you equip whatever gear provides the best accuracy as you might need it with Luska and Mithraya. 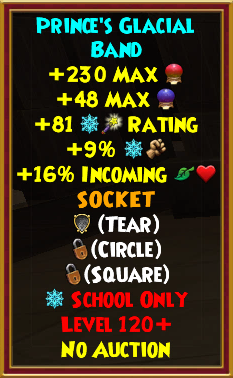 The current known drops so far are listed below. 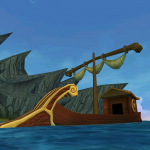 Keep in mind that anything can change from now till test realm goes live. We’ll keep updating this article with any new discoveries, so don’t hesitate to share what you obtained! 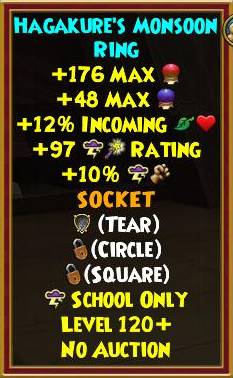 The main drops so far are the Mini Mimic pet and the lvl 120 rings. Additionally, you can also obtain as a drop from Mimic previously discovered gear from all over the world of Mirage. 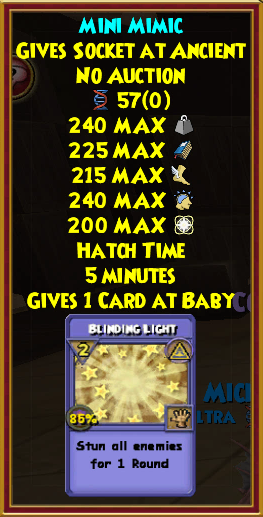 After defeating Mimic for the first time you’ll be rewarded the badge Mimic Muter. What are your thoughts on Mimic? Did you find anything we missed? Happy Farming!